You see a map that demonstrates territory of Russia. 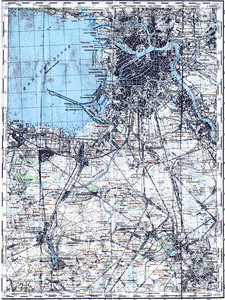 detailed map of Saint Petersburg 1 cm to 1 km for you. map of Pushkin и OziExplorer calibration here. interesting map of Krasnoye Selo calibrated for gps. free map of Shushary with gps calibration displayed. detailed map of Pavlovsk 1 cm to 1 km download for free. map of Strel'na free download. free map of Annino 1 cm to 1 km displayed. interesting map of Tyarlevo 1 cm to 1 km presented. map of Aleksandrovskaya calibrated here. actual map of Vikkolovo with gps calibration displayed. detailed map of Verkhnyaya Koloniya calibrated for gps. topographic map of Verkhneye Kuz'mino calibrated download for free. actual map of Verkhneye Koyrovo и OziExplorer calibration presented. actual map of Variksolovo и OziExplorer calibration free download. detailed map of Susary with gps calibration for you. actual map of Srednyaya Koloniya with gps calibration for you. map of Solozi calibrated for you.